Facebook may have saved this little girl’s sight! This photo was posted to Facebook by her mother, Tara Taylor. It shows the smiling three-year-old, Rylee Taylor. Immediately, friends and family knew something wasn’t right. They suggested that she get the little girl into an eye doctor due to her white left pupil. An eye exam revealed that Rylee had a rare eye disease called Coat’s Disease, which can lead to blindness. 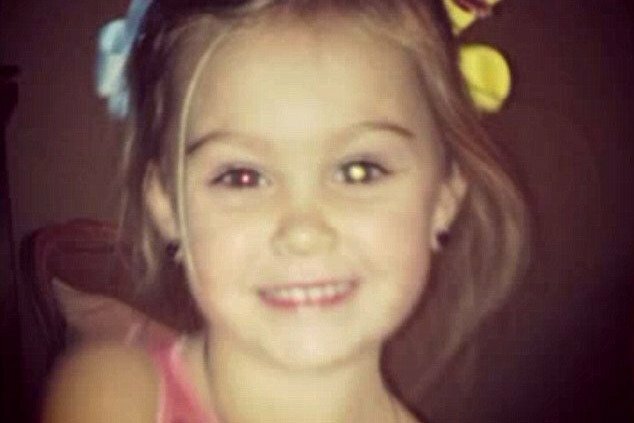 The mother had no idea her little girl was going blind in that eye. As eye doctors, we are very concerned with children’s vision for many reasons. Here are some of our concerns. Children often don’t complain about vision problems because they have nothing to compare it to. If their vision is blurry, they figure that everyone sees like that. A child’s brain is so adaptable that it will often compensate for a serious vision problem. If one eye is blurry, the brain will shut off the blurry eye and favor the good eye. Imagine never using your left arm. Eventually it becomes weak and useless. The visual system is no different. A child could be blind or going blind in one eye and the parents would not even notice it. The child can still spot an airplane off in the distant sky, but may only be using one eye. The refractive error or prescription of a child can change rapidly from year to year. One year they can see just fine at school and the next year their grades begin to drop. The parent determines that the child just isn’t paying attention or applying himself. But in reality, he’s doing the best he can with his increasingly blurry vision. The inside of the eye lacks pain-sensing nerves. This concern applies to adults also. The outside of the eye is the most sensitive part of the body. It can sense a speck of dust on the surface. But you can have your retina pull away from the back of the eye, known as a retinal detachment, and have no pain. You can lose your side vision from glaucoma and have no idea until it’s too late and irreversible damage has been done. Prior to their child’s first pair of glasses, many parents have been shocked at how big the letters on the eye chart have to be for their child to see them. This is why many states are now requiring all children to have a vision exam before starting each school year. As parents we want to provide our children with all the tools they need to be successful. We purchase back-to-school pencils, backpacks, calculators, and clothes. We recommend all parents include regular eye exams also. If nothing else, it provides peace of mind that your child is seeing their best.